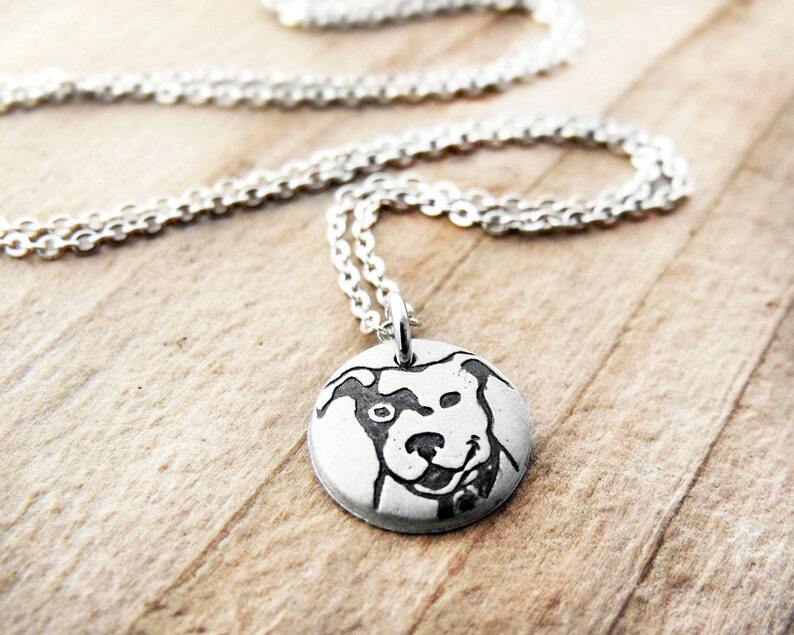 Here's a tiny version of my smiling pit bull necklace. Love my charm! This is my 4th purchase and could not be more pleased!! It was personalized which I appreciated more than she will ever know!! Once again, just what I wanted, thank you so much! I wear this everyday and love it. Great customer service and awesome quality.